Chisels - Sizes Under 1"
Chisels (Sizes Under 1 In.) Are Used For A Wide Variety Of Professional Carpentry And Masonry Applications. Chisels (Sizes Under 1 In.) have a sturdy construction for long lasting durability and strength. Handles are designed for easy gripping and to prevent rolling. 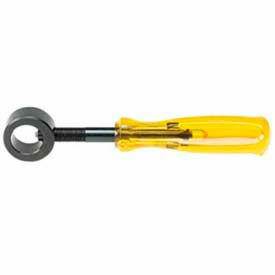 Can be tapped with a hammer or mallet to cut wood, metal or stone. Choose from Cape, Cold, Diamond Point, Flat, Half-Round Nose, Masonry, Rivet Buster, Round Nose or Wood styles for use on a variety of jobs. Some chisels are non-sparking for safe use in hazardous work areas. Available with lengths that range from 4 In. to 18 In. for increased versatility. Sizes vary per model. 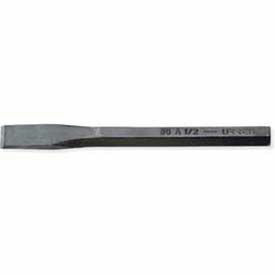 Chisels Are Used For A Variety Of Professional Carpentry And Masonry Applications. Chisels are available in a variety of sizes and shapes to suit a wide range of carpentry and masonry applications. Chisels are made using heat-treated alloy steel, copper beryllium, aluminum bronze for long lasting durability. Available types include Brick Set, Cold, Diamond Point, English Bolster, Floor, Masonry, Stone Mason's and Wood. Most chisels have square or hexagonal handles for easier grip. Some chisels are spark-resistant for safe use in hazardous work areas. Widths range from 1" to 4"; lengths range from 1" to 30". Chisel Sets Are Used For A Wide Variety Of Professional Carpentry Or Masonry Applications. Chisel Sets are available in a variety of sizes and styles to suit a wide range of carpentry and masonry applications. Sets are available from several different trusted brand names. 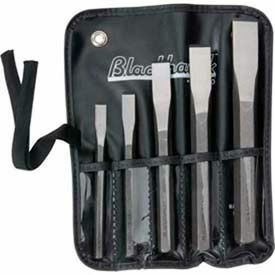 Available in sets with 3 chisels up to 10 chisels. 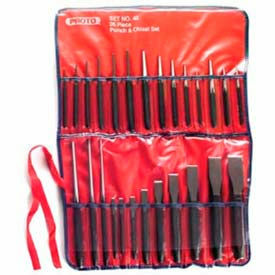 Punch And Chisel Sets Are Used For Professional Carpentry, Masonry Or Metalworking Applications. Punch And Chisel Sets provide useful combinations of chisels, punches and drift pins in a range of sizes to suit a variety of carpentry and metalworking applications. Choose from several trusted brand names. Sets range from 5 pieces up to 27 pieces. 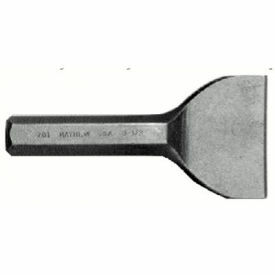 Punch And Chisel Holders Are Used For Professional Carpentry, Masonry Or Metalworking Applications. Punch and Chisel Holders create a reliable grip to help prevent hand injury and reduce fatigue. Holders are available from a variety of trusted brand names. Choose from several different lengths.